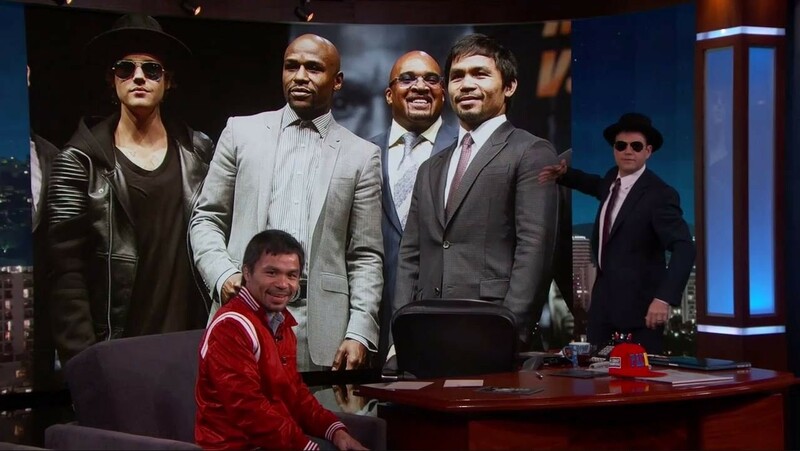 Jimmy Kimmel Joined Manny Pacquiao's Entourage | Jimmy Kimmel Live! Jimmy Kimmel had his wish granted at the "Fight of the Century" when he got to join Manny Pacquiao's entourage just like Justin Bieber has been part of rival boxer Floyd Mayweather's crew. 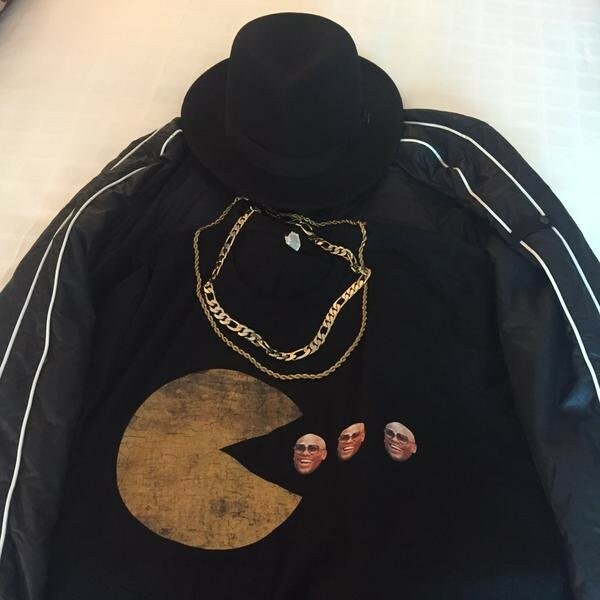 And just like Bieber, Jimmy wore a fedora, as well as some gold chains and a Pac-Man shirt (in tribute to Manny's nickname) eating little Floyd Mayweather, Jr. heads instead of dots. Back on April 22nd when Manny Pacquiao was a guest on Jimmy Kimmel Live, the host asked him if, "I would love to be a part of your entourage, I really would. Will you consider this?" Manny said he'd consider it, and Jimmy joked he'd do whatever it takes to join his entourage, adding "I'll fight Justin Bieber. I don't care what has to happen!" After the fight, Jimmy later tweeted to Manny, "Disappointing result but what a fight - thank you for making me your Bieber. @MannyPacquiao - you are a champion." RELATED: See Dr. Phil counsel Manny Pacquiao on his need to fight Floyd Mayweather, Jr.
Watch Jimmy Kimmel Live ABC WEEKNIGHTS 11:35|10:35c. News The 12 Days of ABC: 5 Really Mean Tweets!